Resistance bands are long, elastic bands that help you vary your workouts, stretch your body and build muscle. They are inexpensive pieces of equipment, making them ideal for home use. They are extremely portable, allowing you to easily take them anywhere. Because there are so many types, tensions, and brands, finding the right resistance band for your fitness needs can be overwhelming. To help you find the best product, our team did extensive research to find the best selections. For each product, we list its specifications, key features and other considerations. If you want more information regarding key features, what sets these products apart and what type of band would improve your workout, check out our buying guide. Read more about our methodology. Strengthen your muscles and make pull-ups a little easier with the WOD Nation Pull-Up Assist Band. This resistance band is extremely durable and features a large loop design, making it easy to complete a wide assortment of exercises. Whether you want to lift heavy or just stretch your body, this resistance band tube set is one of the best options available. Featuring a tube design, soft-grip handles and extreme durability, users of all sizes and with various goals will benefit from this product. With a durable design, five resistance options and a high-quality feel, this resistance band will increase your level of fitness without costing a fortune. These resistance bands are extremely durable and can assist with strength-training exercises or help you perfect challenging pull-ups. If you are skeptical about trying resistance bands, this is a great starting option. With its durable design, 100 percent money-back guarantee and included accessories, you can begin using it right out of the box. If you want loop resistance bands of varying resistance, this set is for you. With five bands of varying strengths, clear labels and durable material, you can enjoy a full workout and numerous exercises with this one purchase. Strengthen your muscles and have fun with these tube resistance bands. With the ability to stretch up to 15 feet in length, permanent handles, and cushioned grips, these are an excellent tool no matter your body size and your exercise goals. Enjoy a resistance band that you can use regularly without falling apart. 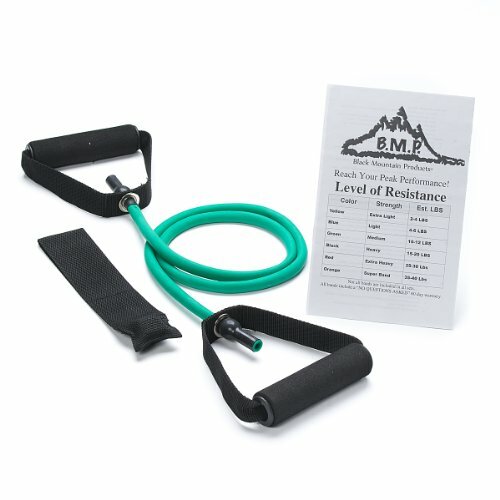 This Black Mountain Products Single Resistance Band is extremely durable, features foam handles and includes a book of exercises to help you plan a workout that meets your fitness goals. Stretch your body and work your muscles using a Super Exercise Band. With its latex-free design, 7-foot length and extreme durability, users with limited movement as well as those who want a good workout can enjoy this product. 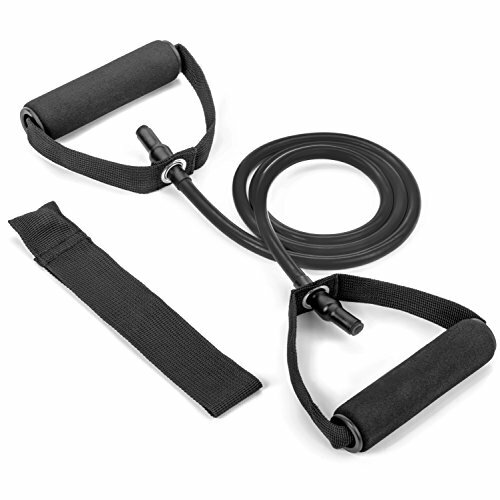 Experience an intense and extreme workout with the Serious Steel Assisted Pull-Up Band. Enjoy versatile workouts from simply stretching to performing full pull-ups. The bands are long, vary in thickness and are durable enough to hold users of all sizes and help you strengthen muscles with ease. 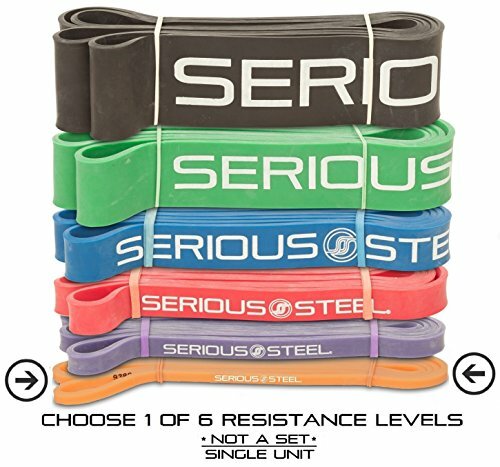 Resistance bands are available in several different designs: tube, flat and loops. Each has its own unique benefits. Flat bands are better for children, the elderly and individuals with weaker joints, such as those in rehab. If you participate regularly in yoga or Pilates, flat bands are easier for those specific exercises. Tube resistance bands are better for overweight individuals. They have less of a chance to snap and they have handles that make it easy to hold onto. Loop bands are best for lower-body workouts. If you want to strengthen your legs, quads, glutes and hips, these bands are best. Products with handles are easier to hold onto. Some handles are permanently attached to the resistance band while others you can remove and place on other bands. Permanent bands are ready to use and fast to switch from one band to another. Interchangeable bands require a little more time to reattach handles. However, there are more choice and options available for interchangeable handles. Additionally, look for products with soft grip handles — preferably foam — which won’t cause too many calluses and sores on your hands after extensive use. Resistance bands are made using varying types of rubber and latex, which aid to their elasticity. As you consider a resistance band, you want to ensure it uses high-grade materials, as lower-quality products can snap and seriously injure users. Additionally, be aware that some types of bands have a strong smell to them. One of the most common complaints regarding resistance bands is the awful rubber-like smell of the product. 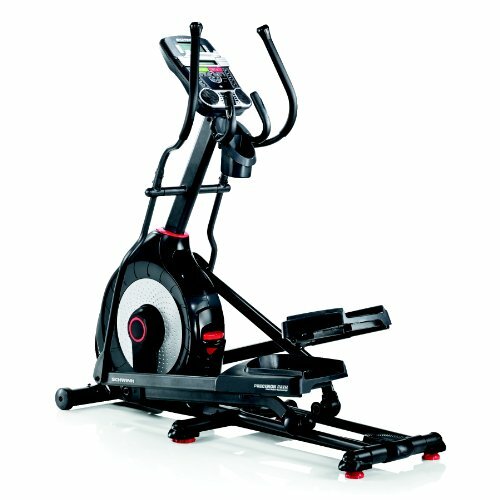 Many products include accessories that allow you to perform more types of exercises. They may include devices that help you easily attach the band to a door, pole, or your ankle. Other popular accessories to look for include handles, storage bags, and exercise books or movies. If you want to use these items for more of a full-body workout, you may want to consider products that come with numerous accessories or you may need to make separate purchases. Resistance bands are generally inexpensive fitness equipment. You can find a great product for less than $15 with ease. You can find single bands — tubes, loops and flat — under $10. Usually a package at this price point includes a single band without any additional accessories. 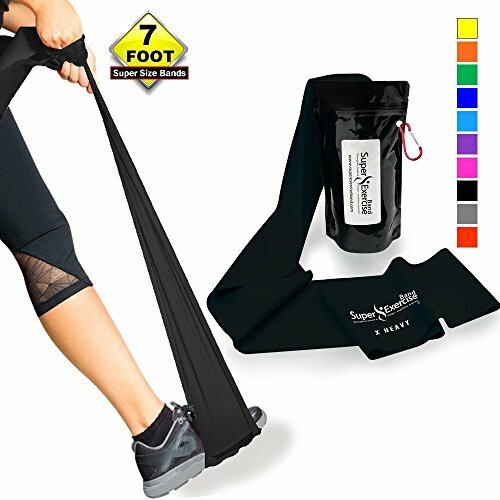 Products ranging between $10 to $20 are single resistance bands sold with numerous accessories or are smaller sets that offer multiple tensions. Products greater than $20 are usually large sets with numerous accessories and workout videos. WOD National Pull-Up Assist Band is the perfect companion for strength training exercises and to assist you with difficult pull-ups. It features a large loop design that is extremely user-friendly, and you can set it up in a matter of seconds without any extra prep work. Additionally, this band is thick and strong, and very few users report that it snaps or frays while in use. However, when you place your order, you are only purchasing a single band, not an entire set, so you will want to ensure the band you choose is ideal for your specific weight. Extremely durable. Many users praise the durability of these bands and very few users complain of the bands snapping while in use. Can handle most weights. This band is strong enough to assist individuals of all sizes to complete challenging pull-up exercises. Many users say it is extremely user-friendly and they saw improvement using this band to complete their pull-ups. However, you’ll want to make sure you choose the right band for your weight or the band may be too strong and not offer much assistance. Large loop design. The large loop design makes it extremely easy to complete strength training exercises such as curls and shoulder presses. Lifetime guarantee. If you have any issues with this product, the company will replace the product without any hassle. Sticky Materials. Many users complain that this resistance band has a sticky finish to it. However, you can add some chalk or powder to the band to fix the issue. 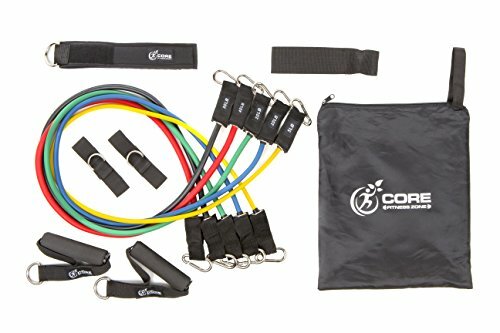 If you want a complete set of resistance bands, you won’t get much better than the Core Fitness Zone Resistance Band Set. Featuring five tube bands that range from 5 to 40 pounds, you can use these bands for basic stretching or for challenging strength-training movements. This product features a durable, soft-grip handle and several anchors, which makes utilizing the bands extremely user-friendly. A carrying bag and the lightweight design of these bands makes them travel-friendly. Ideal for heavy users. The tube design of this product is ideal for heavy users who want more durability and a low risk of snapping. This product ranges from 5 pounds to 40 pounds and each band is clearly labeled, which is an advantage for many users. Includes numerous items. This is a complete set of resistance bands. This package includes five bands, handles, an eBook filled with exercises, and several anchors. Extremely portable. These bands are extremely lightweight and the total set weighs just over three pounds. A carrying case comes with this set, making the bands easy to throw in a suitcase or a duffle bag when traveling, or heading to the gym. Comfortable handles. Several users say the handles on these resistance bands are easy to hold and are extremely soft. The handles don’t tend to twist like similar products. Too lightweight for heavy lifters. If you like to lift heavy and are looking for bands to mix up your workouts, you may not be fully satisfied with this product. Users who regularly lift heavy weights say these bands don’t offer enough resistance and the tube design makes it hard to combine bands to increase resistance. 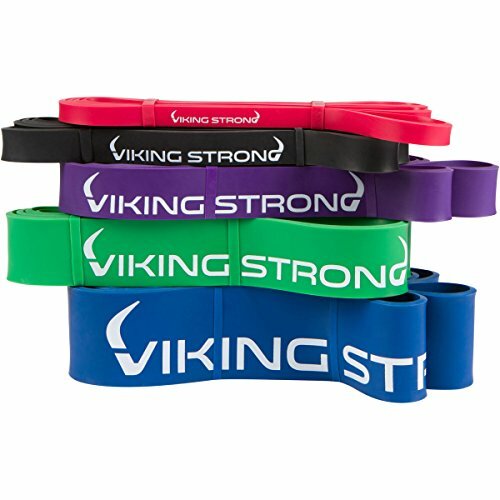 The Viking Strong Pull-up Band is a high-quality piece of fitness equipment with a budget-friendly price tag. It is durable and strong, and many users say it lasts a long time before snapping or fraying. It comes in five resistance levels, ensuring you have plenty of options to choose from and by combining bands, you can have extreme resistance if needed. This device uses a tough rubber, but that does result in strong rubber-like smells that many users don’t enjoy. Extended Lifespan. Users say this resistance band doesn’t lose its elasticity and works great even after extended use. You won’t have to run out and buy a new band for quite some time after you purchase this product. Five Resistance Level Options. While you only purchase one band, there are five resistance level options to choose from. These bands range in levels from 10 to 175 pounds. You can also combine bands to create even more resistance if needed. Smooth, durable finish. These resistance bands have a smooth and slick finish. The bands are not sticky and rough like you’ll find on similar bands. Many users say despite the budget-friendly price tag, these bands are high-quality and just as durable as products double in price. Strong odor. Some users say this resistance band has a strong rubber-like smell to it. You may not want to store this band in your gym bag for long periods of time. The Tribe Single Resistance Band is an excellent option for many types of exercises, and if you want to start working out right away. It uses high-quality silicon, which helps prevent the band from snapping during use. It includes a door anchor and features permanent handles so you can start exercising right away and no assembly is required. If you have any issues with the resistance band, this device features an exceptional lifetime warranty as well as a 100 percent money-back guarantee. Rarely snaps. This resistance band uses a high-grade silicon, which helps the band keep its shape and prevents snapping. Many users praise the quality of this device and say it works extremely well and can handle most exercises with ease. Exceptional warranty. If you have any issues with this resistance band, it comes with a lifetime guarantee. This guarantee on such a budget-friendly item is a huge benefit to this device. In addition, if you aren’t completely satisfied with the band, you can return it and receive a full refund — no questions asked. Includes accessories. You don’t have to purchase any additional accessories with this device and it has all you need to start exercising right out of the box. It comes with a door anchor and has permanent handles, to make many exercises much easier to perform. Not ideal for someone who lifts heavy. While you can purchase Tribe resistance bands at varying tension levels, the most resistance possible is 35 pounds. Some users who lift heavy say this just isn’t enough tension for them to enjoy an intense workout. 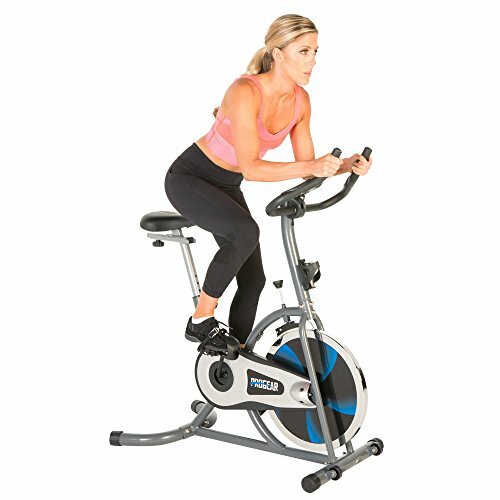 Many workouts require varying amounts of tension for each exercise and these sets provide all you need without making multiple purchases. These bands can offer as little as two pounds of resistance to more than 175 pounds. 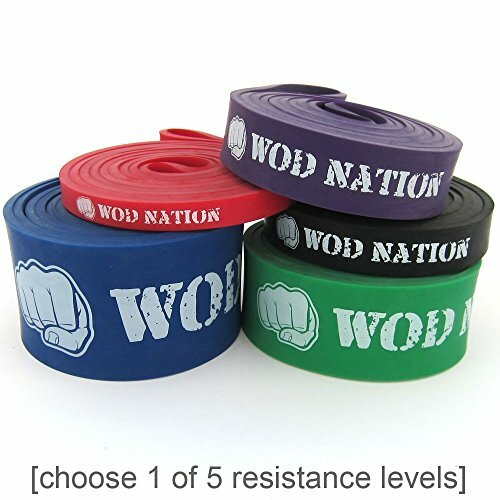 Resistance band sets are available in flat, loop and tube bands, and each band has its own unique color to help you differentiate between the amount of resistance each product provides. This resistance band set is an excellent option if you want to target certain areas of your body, stretch, or need bands for rehabilitation. There are five bands in this set, offering resistance from 10 to 70 pounds. Each band uses natural latex so the band is easy on your skin but it does have a strong rubber-like smell. These bands are extremely small and compact, and they include a carrying case, so taking them with you is a breeze. Great for lower-body workouts. The mini-loop design makes these products great to target your glutes, quads, calves and hamstrings. Many users say they do an excellent job targeting certain areas of the body. Excellent labeling. A favorite feature for many users is how fast and easy it is to find the level of resistance you need. Each resistance level features a specific color and the bands are clearly labeled with the amount of resistance it offers. Exceptionally strong. These resistance bands use 100 percent natural latex. This strong material ensures the bands rarely snap and the natural latex is skin-friendly. Users say the bands won’t roll up like similar products do. Highly portable. These resistance bands are small and light. They are only 12-inches long by 2-inches wide and weigh less than 3 ounces. This resistance band set comes with a carrying case so you can easily take all five bands with you wherever you go. Long-lasting odor. Many users say these bands have a very strong rubber-like smell to them. The smell will linger for several days, even after soaking them in water or airing them out. The best tube resistance bands use rubber and are ideal for all types of users, including heavier individuals. These products vary in length and each band comes with permanent or interchangeable handles, making them easy to grip. These bands are usually more expensive than other options, but these products offer more choices and are less likely to snap. The DYNAPRO Exercise Resistance Bands are excellent tools to help strengthen your muscles and stretch your body. Each band is approximately 5 feet in length but can stretch up to 15 feet long. You can adjust the band’s length, making one band work for multiple users, exercises and workouts. However, several users say the band is difficult to adjust. The handles on these bands are attached so you won’t lose them, and the soft grips are a highlight of these resistance bands. Ideal for users of all heights. You can adjust the length of this resistance band so it better accommodates your height and certain exercises. Each band is 5 feet long and can stretch to more than 15 feet in length. Soft, comfortable grips. 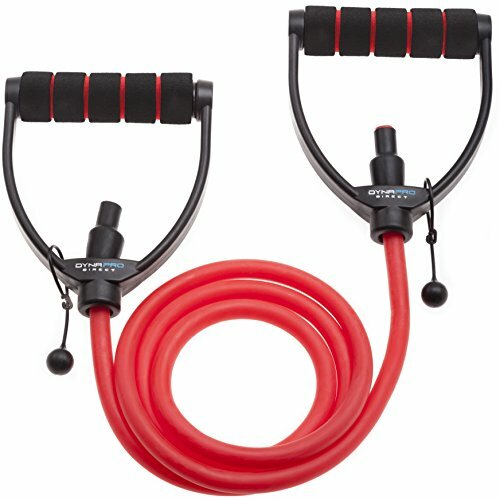 Many users praise the comfortable handles and the grips on these tube resistance bands. The D-shape handles are large enough for bigger, more masculine hands. 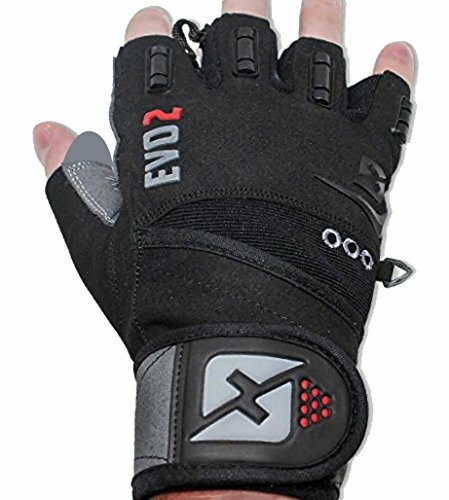 Additionally, the grip is soft and cushioned, which makes it more comfortable to hold on to during your entire workout. Permanently-attached handles. You won’t spend time adding handles onto these bands. The handles are attached, allowing you to just pick up the band and get to work. Difficult to adjust. Many users say they had trouble adjusting these bands to the right length and it took more time than they would have liked. The Black Mountain Products Single Resistance Band is a comfortable, durable and user-friendly product. It is 4 feet long and features foam grip handles that are comfortable to hold for extended periods of time. These bands are extremely durable and even after months of regular use, show very little signs of wear and tear. Additionally, this resistance band comes with a book full of exercises to help you get the most out of your workouts. Comfortable foam grip handles. Many users praise the foam handles and say they are easy to hold onto for extended periods of time. The handles are also extremely durable and users say they don’t bend and flex during workouts. Can withstand extensive use. These bands are thick and durable. Several users say they use these bands frequently for several months and there is no sign of cracking, snapping or falling apart. Includes exercise book. This resistance band comes with an exercise book to help you craft your workouts and achieve your fitness goals. Short for taller individuals. This band is only 4 feet long. While this is a great length for shorter individuals, tall users who wish to do upper-body exercises such as shoulder presses or bicep curls may find this product is too short. Flat resistance bands are excellent options for individuals who enjoy Pilates, yoga and other workouts with heavy stretching. These products are extremely lightweight and typically don’t require any handles, which makes them extremely portable options. However, flat resistance bands are more likely to snap and there isn’t much variety between each type of product. The Super Exercise Band is an excellent option for those who want to stretch and elongate their muscles while doing yoga and Pilates, as well as for those with limited movements, or are confined to a bed or a wheelchair. The band is 7 feet in length, which allows you to perform plenty of exercises sitting and standing. It is also latex-free, so holding directly onto the band won’t hurt or affect your skin. Heavier bands are durable but many users say that lighter options tend to break more easily. Great for individuals with limited mobility. Whether you have an injury, are in a wheelchair or have difficulty moving, this band can help you stretch and work those muscles. Many users with limited movement said this was a great option to help them work out their muscles without worrying about handles, anchors and other accessories. Extremely long. This flat resistance band is 7 feet long, which allows you to do a myriad of exercises sitting down and standing up. If you need a shorter band, you can easily grip this band closer together than at the ends of the band for more control. Friendly on your skin. These resistance bands are latex-free so they don’t affect your hands after holding directly onto the band for extended periods. Several users say they like the material of this band and that it doesn’t irritate their hands like comparable products. Easy to pack in suitcase or backpack. 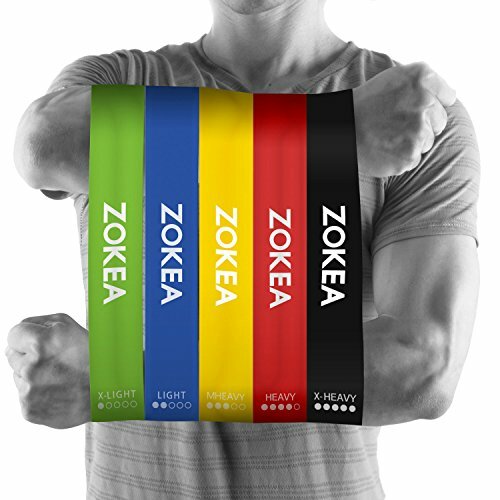 The flat design of these resistance bands makes them extremely easy to slide into a suitcase or a bag without consuming much space. The band also comes in a small carrying pouch with an attached carabiner that you can easily attach to the outside of your bags. Lighter bands prone to breaking. Many users say the lighter flat resistance bands tend to snap and you must be more careful when using it. However, the heavier bands had fewer issues of snapping and breaking. Loop resistance bands are best for lower-body workouts or if you desire assistance with your pull-ups. These products come in varying sizes and tensions, so you can still workout your entire body—you just need to be more mindful of the size and strength of the band to ensure it doesn’t snap. These items are extremely inexpensive and you can typically buy large sets with multiple tensions and sizes. If you want to do heavy lifting or want a durable band to help you perfect a pull-up, these bands are an excellent option. They are approximately 80 inches in circumference and vary in thickness. Lighter bands are great for simply stretching while the heavy bands have enough strength to lift most users up while doing a pull-up. You can add multiple bands together to create even more resistance if needed. Additionally, these bands use 100 percent natural latex and are free from latex allergens. Exceptionally versatile. These bands are approximately 80 inches in circumference and vary in thickness. You can choose bands that are extremely lightweight, which is ideal for stretching and for individuals with low mobility, or thick, heavy bands which can assist with pull-ups. 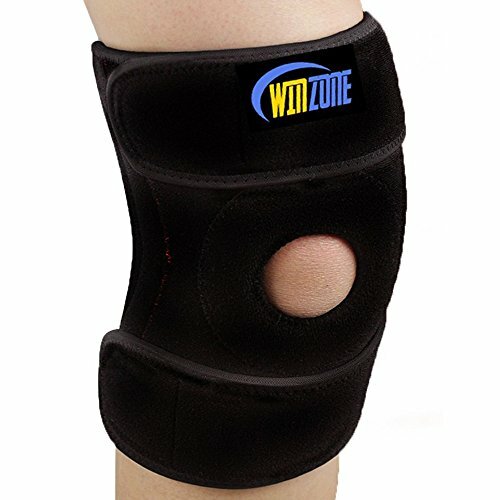 Many users say they will combine several bands together to achieve their desired level of tension. Free of latex allergens. If you are allergic to latex, this band is worth considering. It uses 100 percent natural latex and is free from the elements that cause latex allergies. Great for heavy lifting. The heavy bands are strong and provide plenty of resistance. One user said the heavy band will work your legs to jelly. Bands tend to unravel. Several users say these resistance bands don’t snap like comparable products; instead, they unravel. You’ll want to watch for signs of unraveling as you regularly use this product.